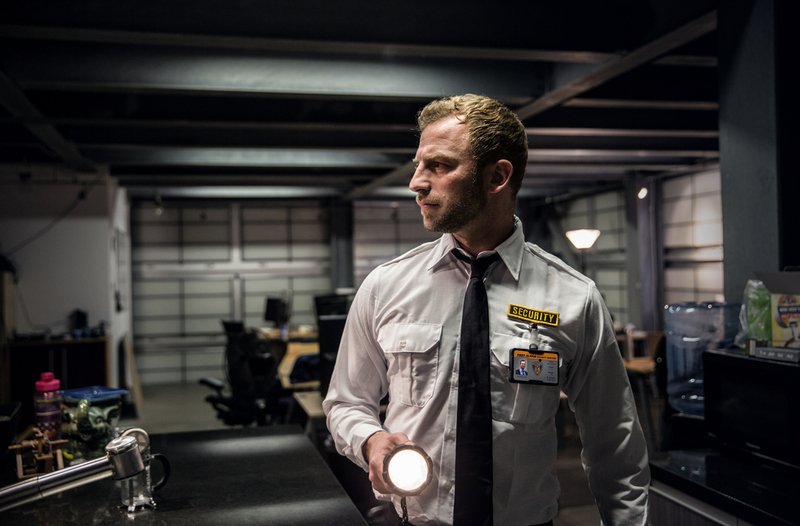 THE SOLOPROTECT ID Pro is a discreet ID badge device that has been introduced to offer employers comprehensive lone worker protection, and a platform for enhanced incident verification through Body Worn Video (BWV). But aside from its optional BWV functionality, it’s also equipped to be a much smarter lone worker device than most audio-only solutions. 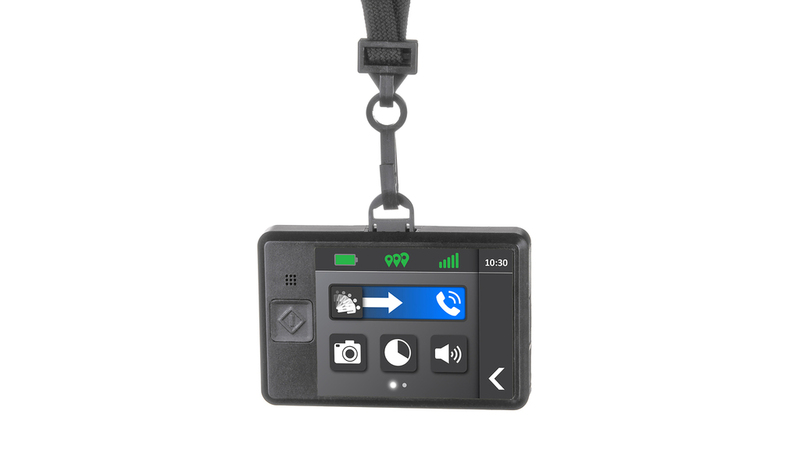 The ID Pro also delivers indoor location capability and risk messaging, direct to a user, on their device – triggered manually or due to their location. SoloProtect, originally formed as Connexion2 in 2003, has manufactured lone worker technology since its inception, and have been delivering solutions directly to end user markets since 2007. Managing director at SoloProtect Craig Swallow said, “We essentially gave ourselves a mandate to change things up. We felt we, and the wider industry was suffering from a lack of genuine innovation and increasing competition on price. We see our long-term future in the market, so wanting to harness more for our customers was an essential part of the development project behind the ID Pro”. Solution supplier – company infrastructure, training, supporting mechanisms etc. All the above can vary in quality from one supplier to another, however they all work the same way when deployed across industry, broadly speaking. The solutions deployed are also all predominantly audio-based, and not video enabled. SoloProtect developed the ID Pro to change that, and work in tandem with the recent standard for Body Worn Video (BWV) emerging in the shape of BS 8593. The company also believes they have added a fourth component to the above, via the addition of SoloProtect Insights, a smart customer engagement tool which harnesses a range of communication options for a lone worker manager and a mobile workforce, and reporting analytics and ROI indicators. In 2018, much of the BWV deployed in the UK remains done so by the police. Increasingly there are growing civil applications of usage across a range of industries and job roles, however many civilian organisations are still working through how deploying video devices affects their organisation in terms of service delivery, video management and data retention. Deploying video devices can seem a daunting task, particularly in the post-GDPR world – something the company is keenly aware of, and keen to minimise for its customer base. Craig Swallow said, “We wanted to retain strong presence in our traditional market of lone worker safety and worker protection, whilst acknowledging that adding video functionality to traditional audio evidence capture would also open-up opportunity and interest from the BWV market. We also understood that BWV solutions can be very expensive for many civil applications to deploy, so we also wanted to make a product that addressed that, by delivering great value”. The ID Pro differentiates and excels in video verification, indoor location and risk messaging. Video streaming directly into the Alarm Receiving Centre (ARC) gives an operator a richer context of any situation as it is happening – not after the event. Often where a location must be confirmed as part of the verification process, prior to making a request for a police escalation, video evidence paired with audio potentially allows an operator to reduce the verification time by minutes, giving the worker in question the best chance of a prompt and appropriate response. 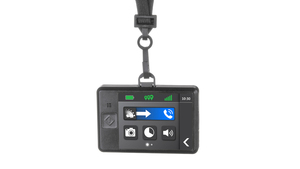 The ID Pro is not always recording – but very much event driven, and in the control of the lone worker using the device. This makes battery requirements different to an ‘always on’ BWV device, and as a result the ID Pro can be smaller in size and with a discreet ID badge form-factor. This is also a significant factor in the privacy positioning of the device, reducing compliance obligations for customers. Video streaming allows SoloProtect to manage all video output on the customer’s behalf – meaning less on-device storage is necessitated (but is included should a signal be lost), and that video storage, redaction and deletion are handled entirely for the customer. Making it a low impact BWV solution for any client looking to implement – without significant demand on their time, personnel or current digital infrastructure. It also removes the need for docking and download by a staff member later. Indoor location is traditionally not possible via a lone worker device using GPS or GNSS technology, where line of sight can’t be achieved. An Indoor location can also present a number of challenges due to sprawling fixed sites with more than one point of entry (e.g. hospitals), multiple buildings at a single address (e.g. Manufacturing, Research or University sites), or indeed multi-storey buildings (e.g. Large office buildings or residential tower blocks). The SoloProtect ID Pro can be deployed in conjunction with Bluetooth Beacons, and Wi-Fi points within a structure, that can be called upon to inform the process of alarm verification and escalation. As an ID Pro moves within a range of several metres of the beacon, it records the beacon's identifying code and stores as part of an audit trail. If a customer has deployed a network of Bluetooth Beacons, in the event of a subsequent 'Red Alert' on a lone worker's device, the SoloProtect Alarm Receiving Centre (ARC) has visibility of the last Bluetooth Beacon or Wi-Fi point seen by the ID Pro, information that can be seen by an ARC operator. This speeds up the escalation process, allowing the best possible response to be requested on behalf of the lone worker. Risk messaging through the SoloProtect ID Pro is designed to facilitate a platform for any lone worker administrator or any individual managing their lone worker fleet to push on-device messaging to their lone workers, defined manually or automatically by location. All Risk messages delivered are visible on the touch-screen user interface, with an accompanying alert to notify a user of delivery. Anyone deploying a SoloProtect ID Pro solution can implement a geofence (a virtual geographic boundary, defined by GPS or GNSS) around any given location(s) - an office building, an external address, or a given point along a planned route for example. As the ID Pro passes through this location, it can trigger an automatic, pre-defined message to the worker - giving them useful information about their location. This assists the flow of operations and can serve to protect the organisation and its workforce. For example, a large Housing Association that manages 2000 properties, some 280 of them are known to still have asbestos within the building structure. Each property with asbestos is geofenced, any time a maintenance team enters an affected building, they are delivered a cautionary risk message on their ID Pro, outlining that they will be carrying out works where this hazard is present, and should therefore take appropriate measures and care. Also using location technology, but in scenarios where a high profile, externally driven event is unfolding, and workers need to be sent risk based information by their employer, but often at a point when the employer is not able to fully quantify either the scale of risk, or the likely timeline around the situation involved. For example, a suspected terror incident is being reported in Lewisham, South London. A lone worker manager could create a risk based message to be delivered to all staff member ID Pros within SE postcodes that an incident is taking place, and that they should cease travel and find somewhere safe to stay and await further notification. At the same time, the lone worker manager could also tailor a separate risk message to all postcodes that neighbour any SE ones, and request that workers do not enter a London SE post code area, based on a serious incident currently unfolding. Clearly as devices deliver more, there is greater responsibility with regards fit and proper usage of such technology as well as compliance with increasingly robust data privacy legislation. That’s why SoloProtect is taking a holistic approach to service delivery, by assessing the impact of deployment, defined use cases and appropriate supporting mechanisms per industry and job-role, to support availability of the device from autumn and beyond. At every stage, the company is keen to make deployment as straight forward as possible for a client, whilst ensuring a rollout process is robust, and privacy impact assessments are in place. As a result, the company’s in-house, Data Protection Office will work alongside all SoloProtect customers deploying ID Pro solutions to understand the legal use case behind deployment, and legal standing with regards to data protection relating to their specific applications.